A teenage girl disappears from a small town in America where fifteen years earlier, another teenage girl was kidnapped. Now a woman, she watches the news. She reaches for her gun. She holds it close. 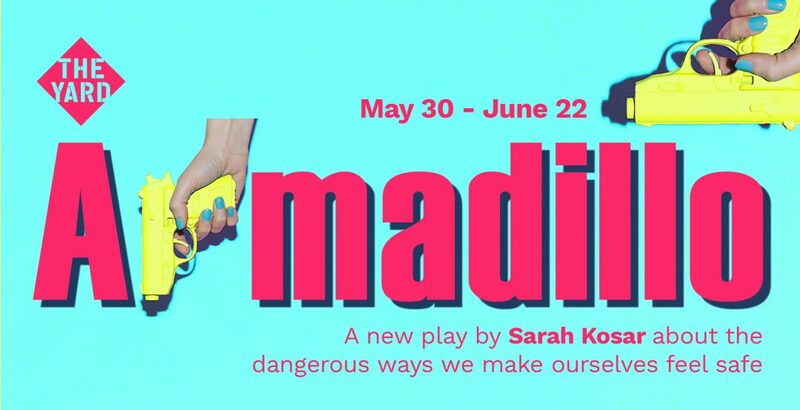 From writer Sarah Kosar (Mumburger, Old Red Lion, Old Vic 12, 2018) and director Sara Joyce (★★★★★ Dust, Trafalgar Studios, Old Vic 12, 2018) comes a show about the dangerous ways we make ourselves feel safe. With a cast including Michelle Fox (Casualty, BBC1; Translations, National Theatre) with more to be announced. Prices increase as the theatre fills – the earlier you book the cheaper it will be. Locals get 30% off all tickets with a free Yard Local Card – sign up online. U26s can get £5 tickets on the door to all performances that are not sold out with #NoEmptySeats.